There is an island where rabbits live on an uninhabited island in Japan. This island has a mysterious history which was also erased from the Japanese map. The rabbits on this island are wild rabbits, but they are very friendly. The rabbits will try to eat food from your hands. Where is rabbit living Okunojima in Japan? 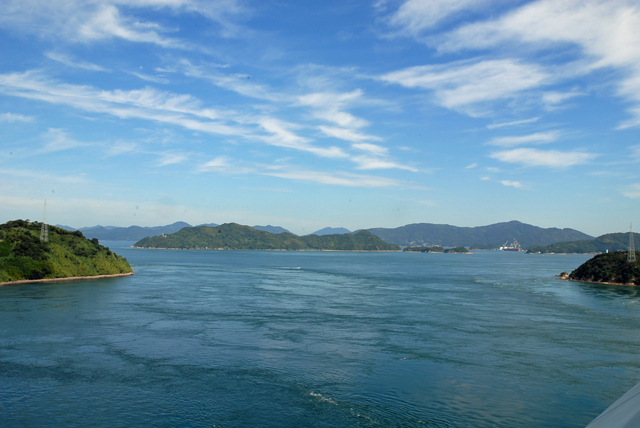 Okunojima is the island of the Seto Inland Sea of Japan. Okunojima was an island that manufactures chemical weapons during the Second World War. There are many ruins in Okunojima now. The rabbits are wild on this island. Okunoshima where rabbits live is a mysterious island. Shimanami Kaido is a highway bridge connecting six islands. We can cycle on this bridge's bicycle road. CNN News was chosen as one of "the world's most wonderful cycling routes". The approach road to the bridge seems to be running towards the sky. The ocean of the island is also very beautiful. You can also meet dolphins at Shimanami Kaido. 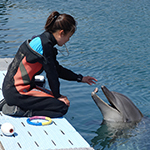 "Shimanami Dolphin Farm" that can be friends with dolphins. To Shimanami Kaido, you can actually touch dolphins, it is a stopover recommendation for cyclists beginners. I will show you how to touch dolphins with movies. It is "Tatara Shinami Road Station" of Ohmishima that is said to be the sacred place of the cyclist. Parking can be done for free, the number of cars that can be parked is up to 300. The capacity of the parking huge for Shimanami Kaido. I think this place is a best starting point where beginners of Shimanami Kaido Cycling can enjoy. 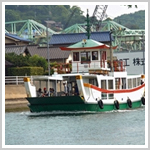 The first step to Shimanami Kaido is to cross the Onomichi by the ferry to Mukaishima. 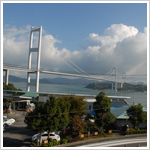 Bridge connecting Onomichi and Mukaishima is not friendly to bicycles, unlike Shimanami Kaido's bridge. Ferries frequently come out from very front of Onomichi Station, and the ferry price is so reasonable at 110 yen, it is recommended to use this. When departing from Imabari side of Ehime prefecture, departing from the cycle station "Sunrise Itoyama" is a recommended course for beginners. Facilities such as eat and rest are enriched, and staffs are all very kind. Bicycle rental is also substantial. It is a remarkable point the parking is free. My recommendation is a fish lunch here "Kitsune-no-Botan(きつねのぼたん)"
Shimanami Kaido is a cycling course recommended for all people because tandem bicycle is available to ride. 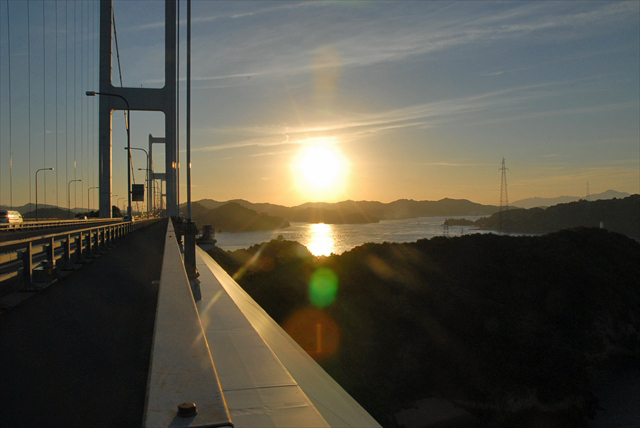 Shimanami Kaido is a cycling course that you can enjoy with a two-seater bicycle. If you are a family with small children, you can also cycling on a two person bike. Although there may be people who think that two people riding a bicycle is forbidden, but in Ehime prefecture of the bicycle kingdom, a two-seater bicycle which is called "tandem bicycle", is Publicly admitted. I would like to introduce my experience when I participated in the two-seater bicycle of NPO corporation "Cyclo-Tourism-Shimanami" that was held the other day. Shimanami Kaido Cycling book recommended for beginners? Speaking of books recommended for beginners, it is definitely "Shimanami Island running book（Shimanami-tou-sou book）". This book is a very book introducing all interesting places and notes of Shimanami written by "Mr. Utsunomiya Kazunari" who is a cycling guide with Shimanami. It is a great thing that if you have this book, you do not need any other books at all. Issei Utsunomiya is such a person who has traveled the world around his honeymoon with two people riding a bicycle. There is no doubt because "Shimanami Island running book（Shimanami-tou-sou book）" is a book written by Mr. Utsunomiya. 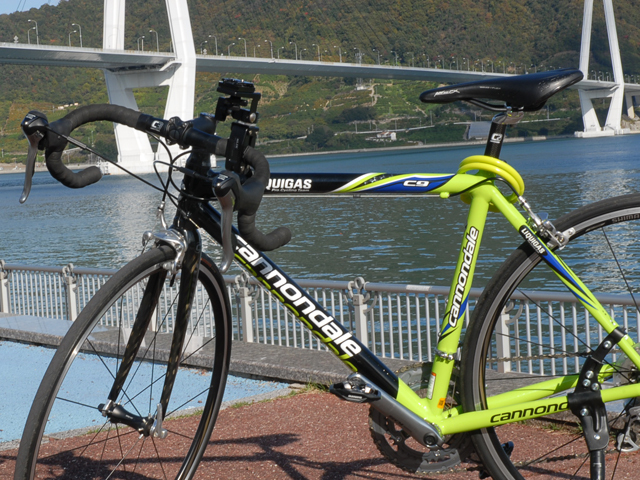 NPO Cyclo-Tourism develops various events on the Shimanami Kaido. I am happy to participate in these events as well. They are looking for staff who work at "CYCRO No IE ('CYCRO' means for Cyclotourist, 'IE' means guesthouse)" which this NPO operates. I went to the tour of Cyclo-Tourism-Shimanami hearing the reputation for beginners of Shimanami Kaido. NPO "Cyclo-Tourism-Shimanami" reputed to be planning a tour that can fully enjoy Shimanami Kaido even for beginners of Shimanami Kaido. I participated in "The 1st Shimanami Kaido Camp and Ride Tour" planned by thisNPO Cyclo-Tourism-Shimanami. 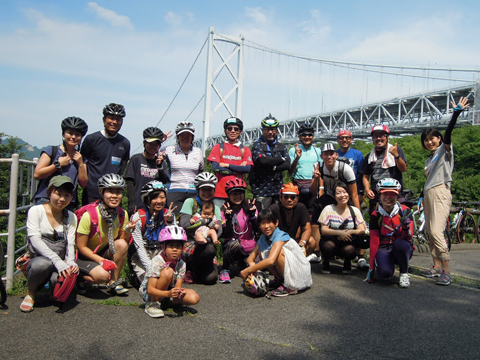 It was the first challenging event as a tour of Shimanami Kaido, "Cycling Shimanami Kaido by camping", but every cycling beginner also traveled about 120 km of Shimanami Kaido, and in the goal it was a inpressive farewell party that I could never forget. I would like to introdece you the tour of Cyclo-Touris for such beginners. I would like to introduce the place I especially love among the Shimanamikaidou. This place is a place to look at Nohjima which was the stage of 'Murakami pirate's daughter' which won the book store grand prize, it is a place of Murakami pirate's activity base where you can see the tide flow, whirlpools, etc. When I say Shimanami Kaido, of course the landscape of Setouchi which I see from the bridge, the view of the bridge overlooking from the observation deck and sunset are wonderful, but the place to look at Nojima is the place where you can feel the "Seto" more. I think that it is one of the great spots I want you to visit. ETC is essential when going to Shimanami Kaido by car. For those who are beginners of cycling, many people say "I want to go by car and borrow rental cycle and cycling the Shimanami Kaido". ETC card is indispensable when using Shimanami Kaido by car. 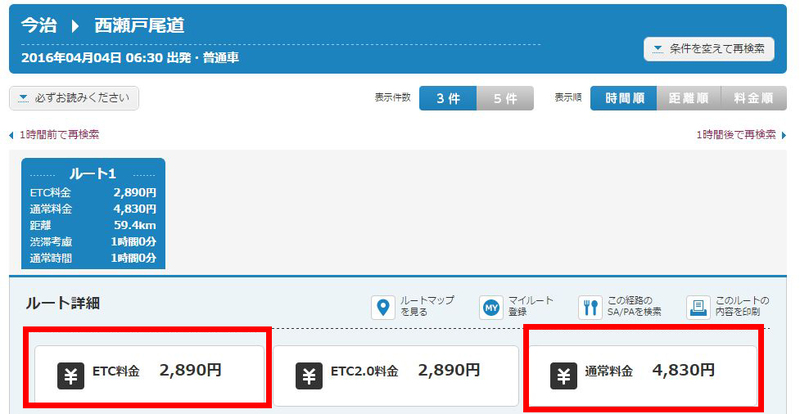 Because the discount rate of ETC card "Shimanami Kaido" is overwhelmingly larger than "ordinary highway". This 40% off discount is applicable at any time. There is nothing to do with "commuter price" or "～ rate". Since this discount rate is very valualbe at any time, let's use ETC well. Shimanami is a great cycling course that you can enjoy even beginner cyclists and friends of mothers. Shimanami is a great cycling course that you can enjoy even beginner cyclists and friends of mothers' goup. 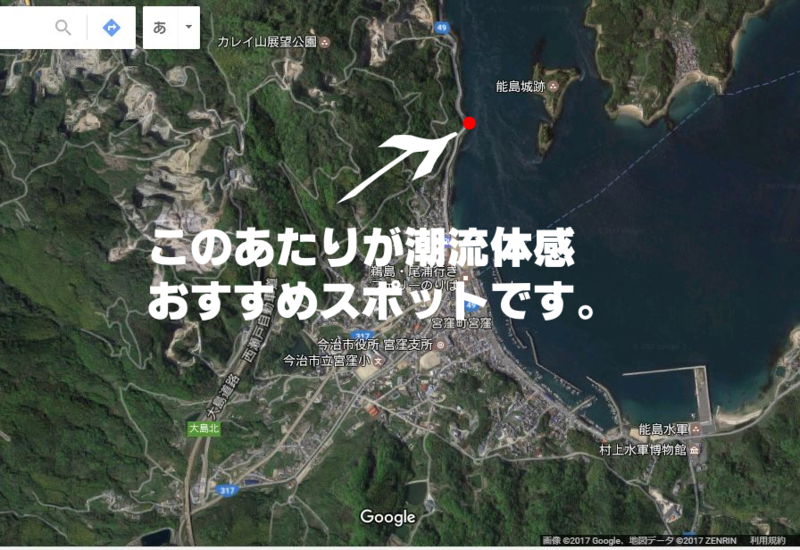 The site is written by fifties man who bought a high-priced bicyle by attracted the charm of Shimanami Kaido when cycling the Shimanami Kaido my own pleasure. Now I became often visit Shimanami Kaido in any time. Cannondale - very expensive for a fifties man living by himself away from the family. I was not interested in cycling so much until I first went to Shimanami-Kaido. However, I happend to see the pretty female announcer cycling Shimanami Kaido on TV, and she seemed to feel very comfortable with the sunset. Just watching from the bridge makes me forget something disgusting. That was the beginning of my Shimanami cycling fever. By watching her TV, I thought that "Shimanami seems so comfortable" . Somehow I was invited by gentle wind and went to the Shimanami-Kaido. It really was comfortable and new enlightenment for me. The author who write this blog is "ARAFIF" (Japanese word that means "around fifty years old person"). Father of university student boys cost money, and monthly spending money is also unchanged, so after marriage my "Pocket money up" is "Rejected". He is mid-career manager living alone by a company's order and was pushed to complaints between his boss and tem member at his office. Everyday I talk to myself with chewing dried squid and drinking sake just like typical Japanese office worker do. 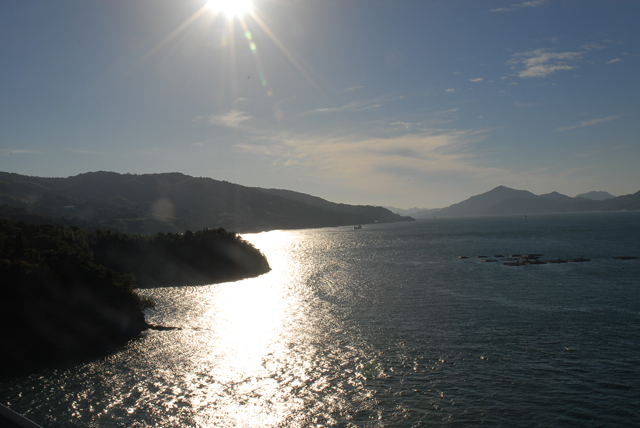 "Let's go cycling to Shimanami Kaido"
And unexpectedly pushed the bicycle into the car and went out to the shimanami kaidou in the end of a certain summer day. 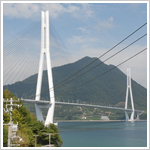 Shimanami Kaido is a bridge that runs along the highway connecting the Imabari of Ehime and Onomichi of Hiroshima. The highway is securely guarded by a rugged guardrail, so you can drive safely. Before going to Shimanami Kaido, I heard that this ride-in ramp is "tough to go up". Even a beginner riding-in ramp to a Shimanami-Kaido is not so difficult. At first, this ride-in ramp to the Shimanami Kaido, for ARAFIF old man, I thought, "How hard it is to use physical fitness". I thought vaguely that the ramp to Shimanami would be difficult. However, actually going up is something that does not get too much trouble. Since the slope is a constant slope, if you set the pedal to a gear that is easy to step on and riding a bicycle at the same pace, it will not get too tired to run. Besides, the landscape that moves from one to the next is nothing to be bored. The landscape that moves while climbing up the ramp is not bored at all. And when You climb up, I think You can feel "I did it"! After climbing up, a wonderfully comfortable landscape welcomes you, which you can not quite experience in "Shimanami Kaido". When I first entered my bicycle on the bridge of the Shimanami-Kaido, I was impressed by the unspeakable comfort. "Wow... How comfortable Shimanami Kaido is!" A large panorama spreading 360 degrees is just like a "Bridge Over Troubled Water"
"Pleasant" "refreshing" "healing" "beautiful" "wonderful" "superb view"
It seems that the word sticks to me. This is a blog that introduces a recommendation cycling course of Shimanami Kaido that can enjoy such "comfortable, Shimanami Kaido" without difficulty even by a beginner cyclist ARAFIF. Cycling beginner who thinks "Shimanami for the first time but is OK"
Young mother who thinks "I am with children but it's okay"
I think that we can introduce a cycling course that we can recommend with peace of mind. 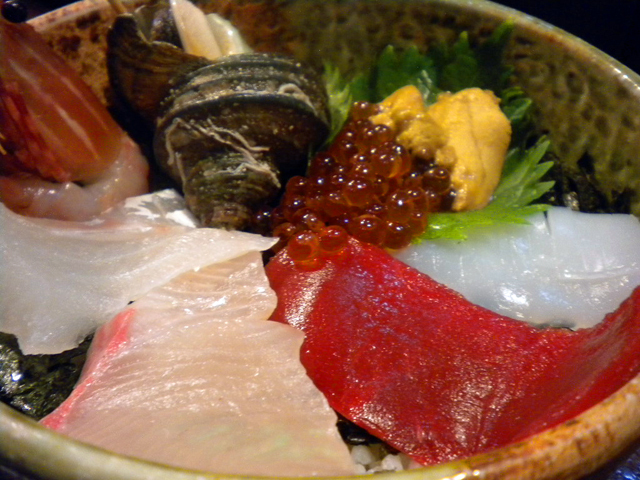 I will also introduce delicious foods I ate in Shimami. I have to eat delicious foods, don't you think? When I reach this age, I am not very interested in "cheap" or "discount"
Even though it is somewhat expensive, things that seem to be "satisfied~" remain in the best impression. Seafood for \ 2,100 at Oshima 's "MIYABI(雅)". Highy satisfied. Click here for details of"MIYABI(雅)"
I will also introduce foods that I felt "satisfied" with Shimami.